In October Debbie and I went to a Remembrance Walk for our daughter Shira Rose. 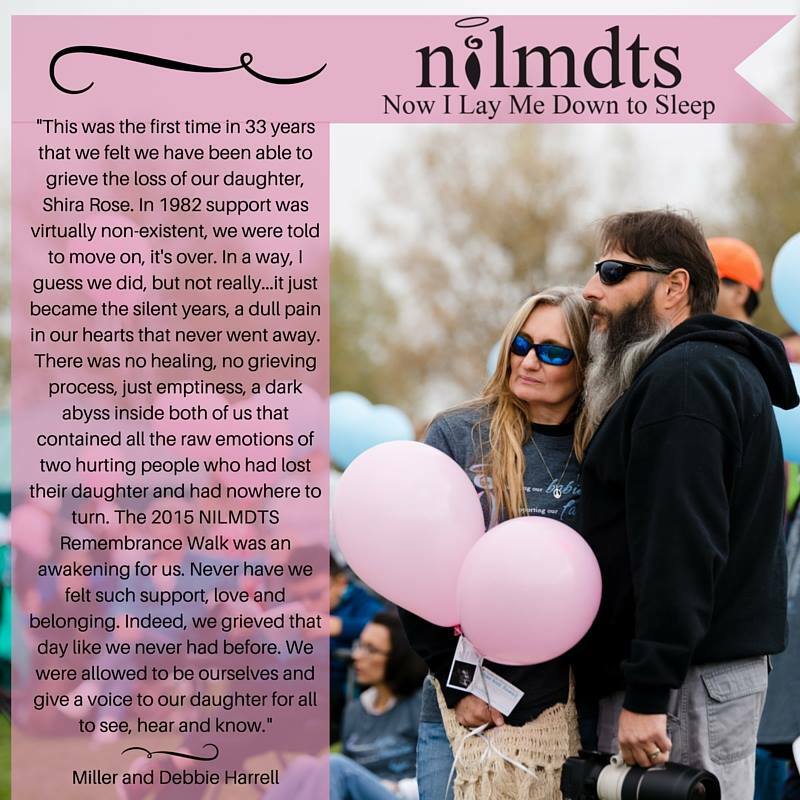 We had no idea what we were walking into or the experience we would have…we can’t even begin to express our gratitude for the support and love we have felt since, and during, the Remembrance Walk. It wasn’t until this year that we had even begun to “allow” ourselves to discuss Shira and do something after 33 years in her honor. We began writing, started our blog and talking [perhaps for the first time] with each other about our hidden feelings that had been kept at bay, deep within us, for so many years. We went to the Remembrance Walk unprepared to grieve, to feel and to somehow be those young parents we were so many years ago who had just lost their daughter. It was all so surreal. Cheryl Haggard, co-founder of Now I Lay Me Down to Sleep, gave a speech that day which hit a special place within us, we couldn’t help but think to ourselves, “thank G-d we came.” Seeing Shira’s name on signs along the route, hearing her name read aloud and releasing a balloon to the heavens was like coming home. Our daughter has a name, she is our daughter, she lives on and will always be a part of us. She had asked the audience to look around them that day. Now I Lay Me Down to Sleep has given parents a safe place to share their baby. Share their story. And even share their photographs. Whether they were taken by themselves or taken by a professional. These parents have read our stories, and seen our photographs. Our babies have given their baby’s a face, and our stories have given these parents a voice. Some parents have given a name to their baby…and they are looking for ways to honor their baby’s memory.